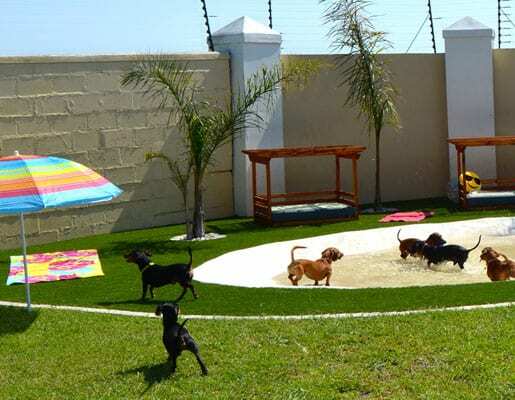 Welcome to “Vienna’s Village” Dog Hotel – Luxury Accommodation and Doggy Daycare for small dogs. 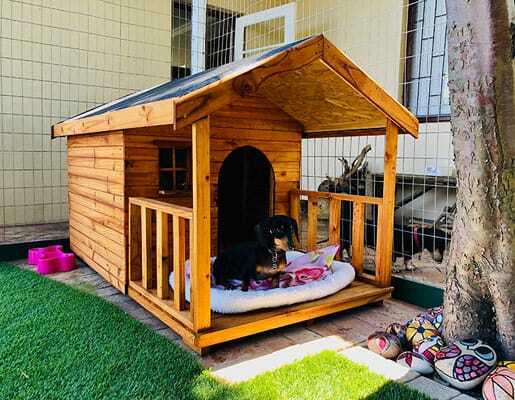 A safe and secure dog hotel where you can leave your pampered pooches and know that they will be cared for like family. We offer private suites with comfy beds plus an indoor chill area for those rainy days. 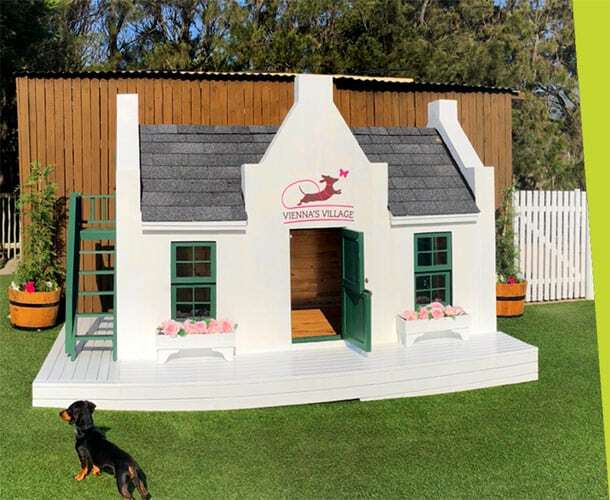 In addition, our beautifully designed outdoor play area will keep them happy and entertained. 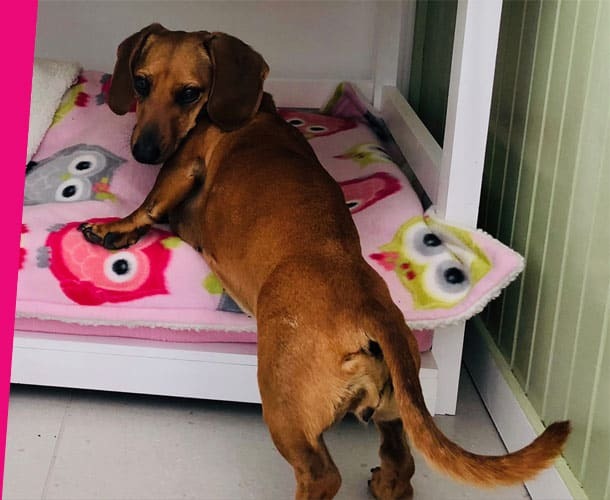 The hotel is aptly named after “Vienna” our miracle Dachshund who survived 8 days and nights on her own in the Silvermine nature reserve. Thanks to an awesome community of dog lovers, plus an exhausting search, Vienna was eventually reunited with her family. As with most dog lovers it was our dream to one day buy a farm and rescue dogs. Lucky for us this dream has become a reality! We also foster for Cape Dachshund Rescue but found ourselves needing more space for the amount of dogs that the organization has in foster care. 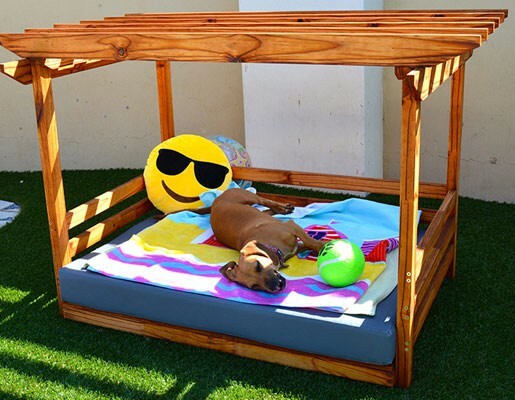 We felt these dogs deserve the best pet-friendly accommodation and environment too as they wait for their furever homes. Vienna’s Village looks forward to welcoming your fur babies for their own special holiday. Here at Vienna’s Village we know that separation anxiety can go both ways. 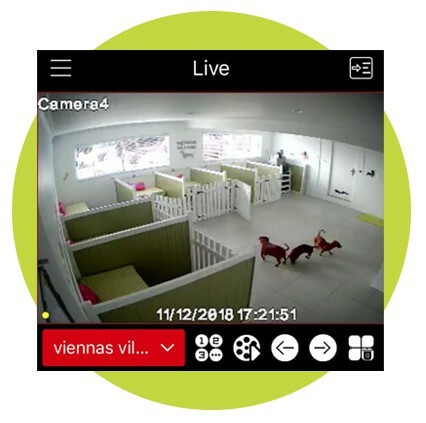 Therefore we have live CCTV surveillance that we have access to 24/7 in order to check up on your furbaby. We’re more than happy to send daily and nightly screenshot photos to ensure your peace of mind, as well as photos of your baby enjoying the fresh air in our separate outdoor play area‘s. Without a doubt 5 STARS! My babies had the most amazing stay! All the staff were friendly and welcoming. 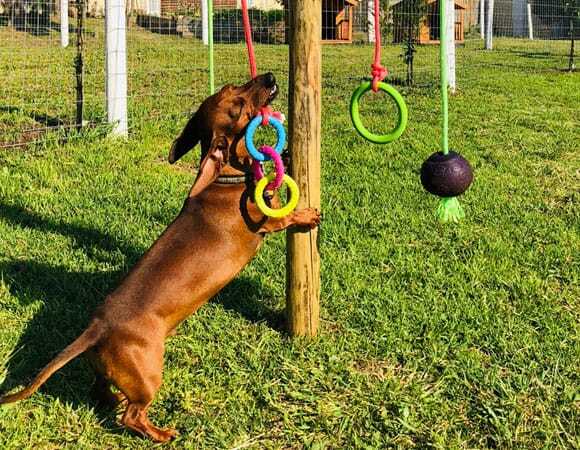 I loved that there was 24/7 babysitters, that they sent me photos of their first day, and the care and attention I saw them giving not only my puppies but all of the dogs. Thank you for all the attention and care, and for taking extra special care of my specials needs doggit! 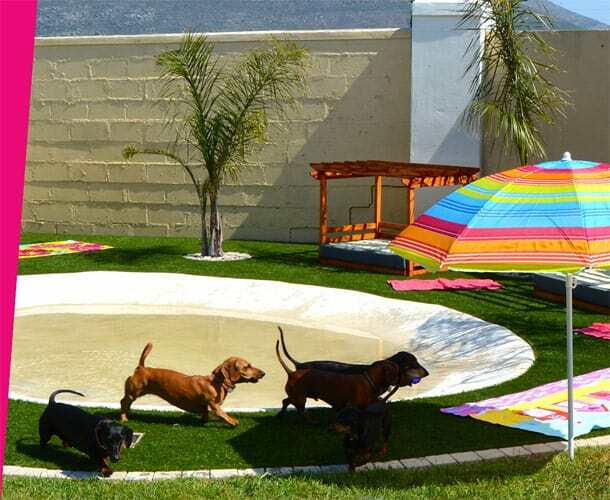 Vienna’s Village Luxury accommodation is an amazing place for small dogs and pups. 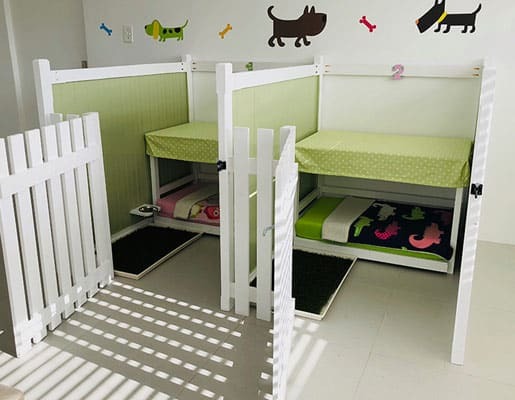 Amazing attention to detail from accommodation through to the play areas. 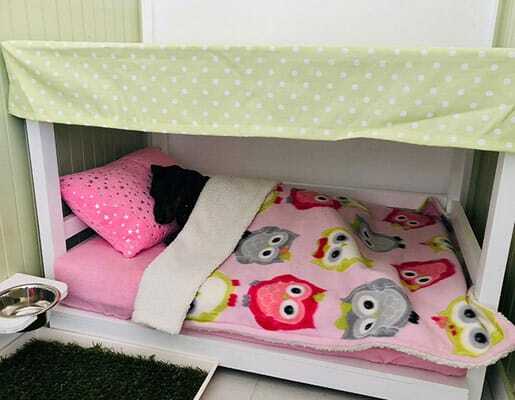 It will be a dog and pups dream vacation!!! 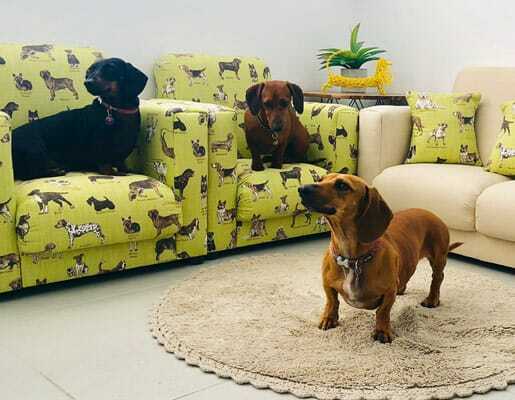 Visited today – It is incredible and one can see that it has been done with the dogs needs in mind and lots of attention to detail. I would highly recommend it to my fellow fur moms. Amazing attention to detail and setup. I would feel very comfortable leaving my girls with Jayne when away. Absolute animal lover with the highest standards. 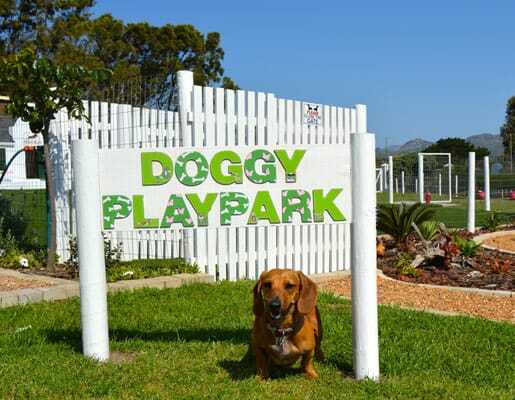 Well done on a beautiful place for our furkids. are simply the best. Thank you so much! A home from home for your beloved four-legged friends.